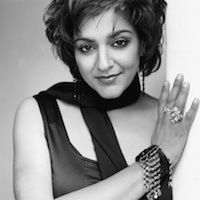 Meera Syal MBE is one of Britain’s best known and best loved Asian-British performers. A comedienne, writer, playwright, singer, journalist, producer and actress, Meera has won numerous accolades for her work including the Betty Trask Award for her first book, Anita and Me, and the Media Personality of the Year Award at the Commission for Racial Equality's annual Race in the Media Awards. One of the team that created the hugely successful Goodness Gracious Me, Meera has won many plaudits for her work in British sitcoms including The Kumars at No. 42 and Beautiful People. "Although perhaps best known for her acting work on radio and television, Meera Syal has long been an accomplished and critically respected novelist. Combining her acting and writing careers in the final year of her drama degree at Manchester, Meera co-wrote and performed in the play One of Us – which won the National Student Drama Award. Her novels Anita and Me and Life isn’t all Ha Ha Hee Hee (1999) are substantial and her work, both in writing and on screen is charactersised by the way in which she uses humour to challenge the limits of political correctness. Meera’s work as well as being enormously entertaining has made a huge contribution to the broader understanding and appreciation of British Asian culture."